How You Can Turn A Sideline Specialty Into A Full Time Business. Service That May Have The Ability To Gross $200,000 Per Year! 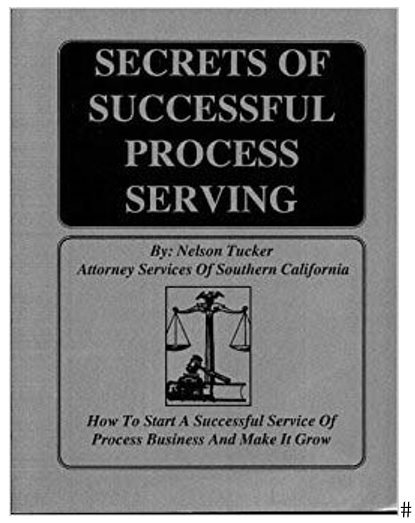 This hard-to-find work, limited in a few copies, revealed and published in 1994 on starting a service of process business is written by Nelson Tucker who turned process serving into a $200,000 per year income in his second year in business and has gone on to become one of the pioneers in this growing specialization. Mr. Tucker shows you the ropes on how to get started in this successful service business with a strong focus on California law (which is applicable in many states) as it relates to service of process. Subjects include: What's it all about. How to get started on the right track? Public process servers and private process servers. Volume of work for private sector process servers. Growth rates. Proper thinking about process serving. Goal setting and knowledge. Going all out for assignments. Explanations of legal terminology you'll need to know. History of process serving covers how it all got started in England and explains the growth of private process serving in the United States and California. How to get business and what to do with hard assignments. Needed equipment for effective process serving. Why your attitude is important. Correct methods of billing clients. How to develop the right kind of clients. How to market to the right type of clients. Methods for winning clients quickly. How to develop secondary clients. Understanding personal service, substitute service and some little known tricks of the trade. Service upon a security guard. Service upon a security building doorman. Service through a closed door. Service by mobile telephone. Service of an individual at a home address. Service of an individual at a business address. Service upon a business and corporation. How to determine the going rate in your area. How to determine your rate of completion and yearly income. How Nelson Tucker started out part time and built his process service business into a business doing $200,000 per year. 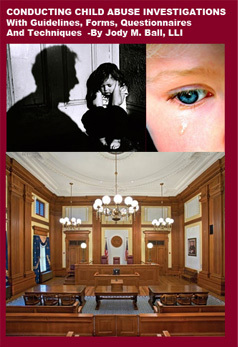 Points Of Authority On Service Of Process And Evading Defendants. Service Instruction Form. Proof Of Service Form. Assignment From (Non-Attorney). Forms To Use On Hard To Serve Assignments. 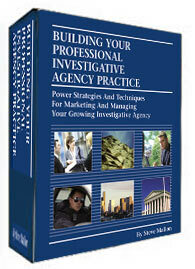 Private investigators are often called upon to serve legal papers as a sideline to their overall services. However, this manual shows you how to turn service of process into a major specialty for your investigative service or a stand-by-itself business. 8 1/2 X 11, 75 pages. 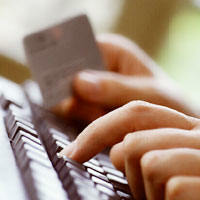 PLUS access tthe private "Process Servers' " forum. Our test is included with this training material. Upon successful completion of the test, just email or mail it in for grading & processing and The Department of Education of the International Private Investigators Union will issue you a certificate as a Certified Process Server in your name that will be emailed to you. 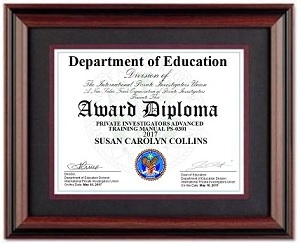 Or, you can ugrade your document to either a printed version or a mounted professional framed item. This product was added to our catalog on Thursday 02 December, 2004.